Heart attack and stroke are leading causes of morbidity and mortality in the United States and across the globe.1 These diseases, in addition to markedly altering the quality of life of afflicted patients, account for more than $500 billion annually in health care expenditures and related expenses.2 Ironically, the common underlying pathology of these diseases, atherosclerosis, is among the most preventable diseases in health care. Lipoprotein-associated phospholipase A2 (Lp-PLA2) is a novel biomarker of atherosclerosis and is often referred to by the trademark name “The PLAC Test.” Lp-PLA2 is an enzyme produced mainly by monocytes and macrophages that converts phosphotidylcholine into 2 proinflammatory and proatherogenic molecules: nonesterified fatty acids (NEFA) and lysophosphatidylcholine (LPC). It is also found in the circulation bound to low-density lipoprotein and several studies have shown that patients with high levels of Lp-PLA2 in the blood are at higher risk of a cardiovascular event such as myocardial infarction or stroke. This one-hour webinar, originally recorded on November 24, 2015, examined Lp-PLA2 and the benefits of ordering the Lipoprotein-Associated Phospholipase A2 Activity Test (Mayo ID: PLACA) offered by Mayo Medical Laboratories. Dr. Jaffe is a graduate of the University of Maryland School of Medicine. He received his house staff and cardiology training at Washington University and continued there for 22 years rising to the rank of Professor of Medicine and Director of the Coronary Care Unit. He then moved to the State University of New York where he was Chair of the Cardiovascular Division, Associate Chair of Medicine for Academic Affairs, and Professor of Medicine. 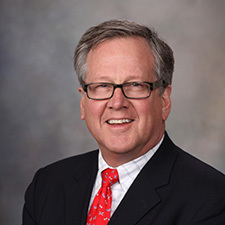 After four years he moved to Mayo Clinic where he is Professor of Medicine in the Cardiovascular Division and Professor and Chair of the Division of Core Clinical Laboratory Services in the Department of Laboratory Medicine and Pathology. He is a noted authority on biomarkers of cardiac injury, inflammation, hemodynamic disturbance, and coagulation and particularly their clinical utility. He has published a large number of original manuscripts, book chapters, reviews, and sits on most of the prestigious editorial boards and guideline committees in the cardiology and clinical chemistry communities. 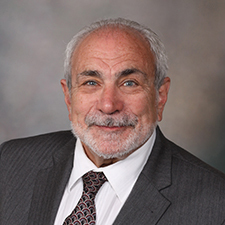 Dr. Donato is the co-director of the Cardiovascular Laboratory Medicine and co-director of the Hospital Clinical Laboratory and Point of Care in the Department of Laboratory Medicine and Pathology at Mayo Clinic in Rochester, Minnesota. She received her PhD in Biochemistry and Molecular Biology at Cornell University in Ithaca, New York and completed her training in Clinical Chemistry at Mayo Clinic in 2012. Dr. Donato is board certified by the American Board of Clinical Chemistry. She has won several presentation awards including first place for both the student poster presentation in 2011 and the student oral presentation in 2012 at the annual American Association of Clinical Chemistry (AACC) meetings. In 2013 she was named one of AACC’s outstanding speakers. Dr. Donato has authored numerous peer-reviewed publications, three book chapters, and numerous meeting abstracts. Dr. Donato is a member of the American Association for Clinical Chemistry and the Society for Young Clinical Laboratorians. Dr. Kopecky is a cardiologist at Mayo Clinic in Rochester, Minnesota. After his training at Mayo Medical School, he started in Mayo's Cardiac Catheterization Laboratory doing interventional procedures and treating myocardial infarctions in the Coronary Care Unit. After treating heart attacks for 18 years, he realized the best way to treat coronary artery disease is to prevent the disease before it has a chance to cause clinical symptoms. 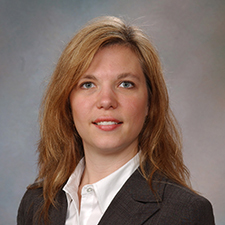 Dr. Kopecky currently works in Mayo Clinic's Cardiovascular Health Clinic, which is the prevention clinic in the Division of Cardiovascular Diseases. He has written numerous articles for peer-reviewed journals and has received multiple "Teacher of the Year" awards from Mayo's Division of Cardiovascular Diseases and the Department of Internal Medicine. His research interests include the role of lifestyle, including diet, exercise, and proper nutrition play in risk prediction and the development of cardiovascular disease and statin intolerance, especially as it affects patients with familial hypercholesterolemia. He is a contributing editor of the Mayo Clinic’s "Healthy Heart for Life!" book. Dr. Kopecky is the Immediate Past President of the American Society for Preventive Cardiology and was the 2013 recipient of the Jan J. Kellermann Memorial Award given by the International Academy of Cardiology for distinguished work in the field of Cardiovascular Disease Prevention. As a provider accredited by ACCME, Mayo Clinic College of Medicine (Mayo School of Continuous Professional Development) must ensure balance, independence, objectivity, and scientific rigor in its educational activities. Course director(s), planning committee, faculty, and all others who are in a position to control the content of this educational activity are required to disclose all relevant financial relationships with any commercial interest related to the subject matter of the educational activity. Safeguards against commercial bias have been put in place. Faculty also will disclose any off-label and/or investigational use of pharmaceuticals or instruments discussed in their presentation. Disclosure of this information will be published in course materials so those participants in the activity may formulate their own judgments regarding the presentation. National Physician Payment Transparency Program Mayo Clinic College of Medicine complies with the requirements of the National Physician Payment Transparency Program OPEN PAYMENTS (Physician Payments Sunshine Act). CDC website. Division of Heart Disease and Stroke Prevention. Accessed September 2015. Available at: http://www.cdc.gov/dhdsp/data_statistics/fact_sheets/index.htm.